How Ironic….leaves fall during National Chiropractic Month!! Hmmmm ….. so October is the month when the leaves are falling fast and furious from the trees…and it’s also National Chiropractic Month!! I wonder who came up with this one?! I know, those red, yellow and orange leaves are so very pretty to look at while you drive down the scenic country roads in New England, but let us not forget that those leaves need to fall somewhere. And if you’re lucky enough to have the front and/or back yard that is the gathering ground for not only your’s but your neighbors (especially the ones that never invite you over for dinner) leaves then read on! 1) Always rake with the wind. Especially when it’s blowing in the direction of the aforementioned neighbor. 2) Minimize the work. 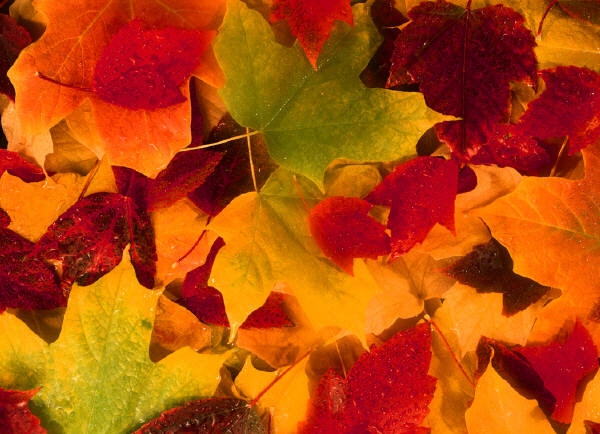 Rake the leaves into small piles that your children can manage as you get them to bag them. 3) Wear gloves to protect your hands. Or pre schedule a manicure. And might as well have a pedicure at the same time. You deserve it. 4) Use your mower to shred or mulch and put them in your compost pile. Or leave them there over the winter, next spring is SO far away. If you don’t take this advice, or if you’ve already done your first raking ~ because we all know that it’s not a job that just happens once a fall ~ then maybe it’s time to look into this Chiropractic Month stuff to undo the damage that those beautiful fall leaves have done to your back! ← A View OF Your Front Door! I love going to the chiropractor. I haven’t been in a while though. And we haven’t done much about the leaves yet either! It makes me so sad when they come down! Fall is such a beautiful time of year! Fall is beautiful in New England for sure, especially this year…..I just wish winter didn’t follow so closely behind!